GAINESVILLE, FL: The College of Engineering Dean’s Advisory Board (DAB) held its spring meeting on Thursday, March 14 with Carlos Del Sol (BS IE 1972) serving as Chair. After introducing himself, del Sol offered a draft of Board By-Laws as well as a committee structure, covering topics of Education, Diversity, Development and Research/Industrial Relations. “My objective is to harness the full potential of the advisory board to support the Dean,” said del Sol. 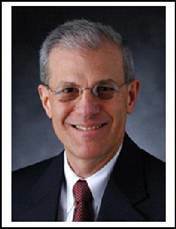 He retired as Vice President for Global Engineering at the Campbell Soup Company. In this position, he was responsible for supporting operations worldwide. Prior to joining Campbell Soup, he held positions in manufacturing, engineering, production, logistics, and advanced manufacturing technology. “I didn’t know I’d be working this hard in retirement,” he said with a laugh.